We love freedom and that's exactly what we offer to you in every single product. With Rage z50 you can adjust the mic to your exact needs, or simply retract it into the earcup and keep it safe. We just want you to be focused at all times. A total immersion in the game, in the fight . When we are ingame, new emotions arise. Joy, pride, surprise, fear, courage that can make us reach the top. With the new Glow Series we want to express that sea of emotions that are created within the game. 4 different radiant colors available. Just choose yours. And use it to win. Our product design is eye-catching, comfortable and available in several colors to fulfill all your needs. Just choose which one suits you and take it wherever you go. We adapt our products to fit in every gamer's lifestyle. Enjoy the Rage Z50 Classic Series available in 2 colors. 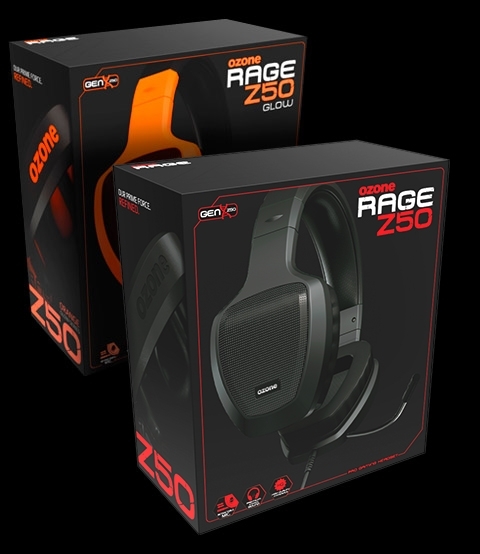 Rage Z50 is a highly adjustable and extremely lighweight headset. It will still be comfortable to use even for the longest game sessions. It also features premium materials , soft-leather padding and low-weight durable plastic. Whether you like to listen to your favorite song on your Smartphone, watch a movie on your tablet or enjoy an intense Gaming session on your PC (Mini Jack Splitter included), Rage Z50 will deliver the best sound quality in every device. "Mit dem Rage Z50 Gaming Headset bekommt der Nutzer es mit einem, für seine Preisklasse". "...a un diseño muy atractivo le acompaña una calidad de sonido bastante buena"
"Este Rage Z50 de Ozone deja un muy buen sabor de boca, sin nada negativo que destacar. La verdad es que nos han sorprendido y por ello les vamos a dar una buena nota y con gusto. Muy bien, Ozone." 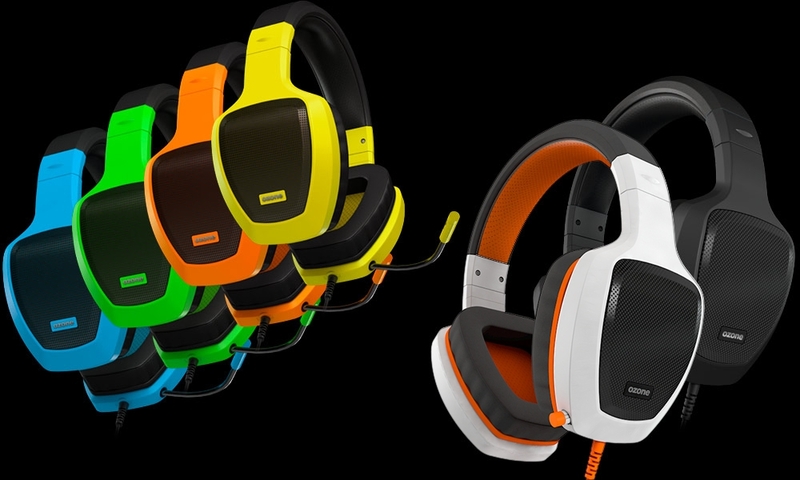 "Mit dem neuen Rage Z50 Glow liefert der spanische Hersteller Ozone ein gutes Gaming-Headset für preisbewusste Zocker ab. Auf der Pro-Seite stehen die saubere Verarbeitungsqualität, das gute Mikrofon und der kräftige Bass." "Her har vi fat i Ozone Rage Z50, der koster bare €50, og har alt hvad du skal bruge i et godt gaming headset." "Ozone rafraîchit son casque fétiche avec un casque au design très réussi et varié ! En effet, il y en a pour tous les goûts ! Ajoutez à ça, des performances auditives correctes pour sa gamme de prix et on obtient un casque au rapport qualité prix correcte avec un super design."